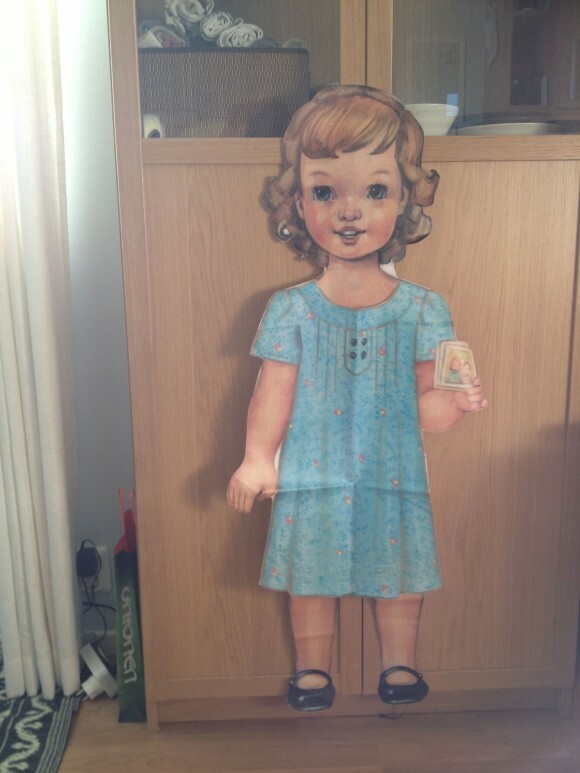 We have received another report on the round-the-world tour that Flat S has undertaken. 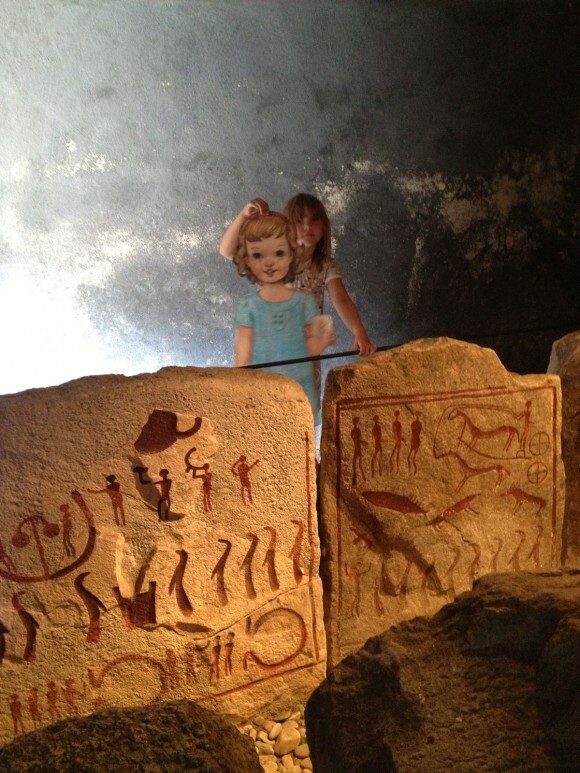 She has just spent some time seeing the sites in Sweden with Lotta Andersson and family. 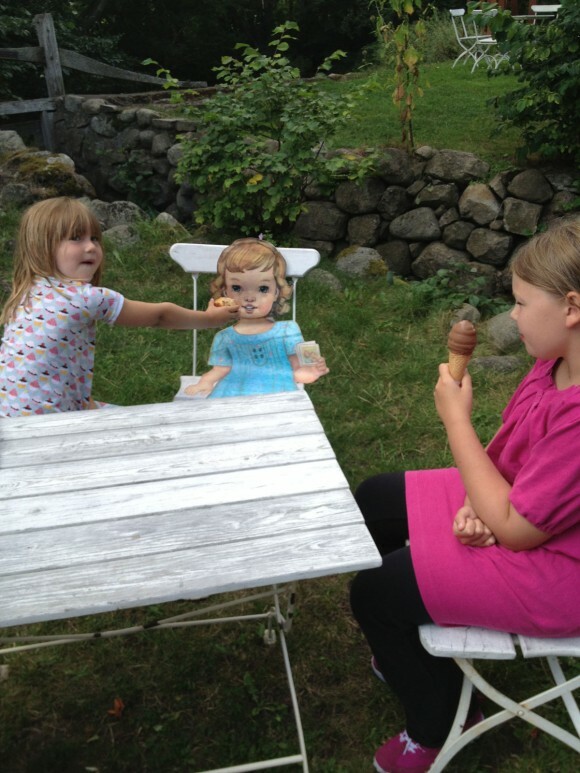 Lotta goes by lattemama in the forums, and on her blog. 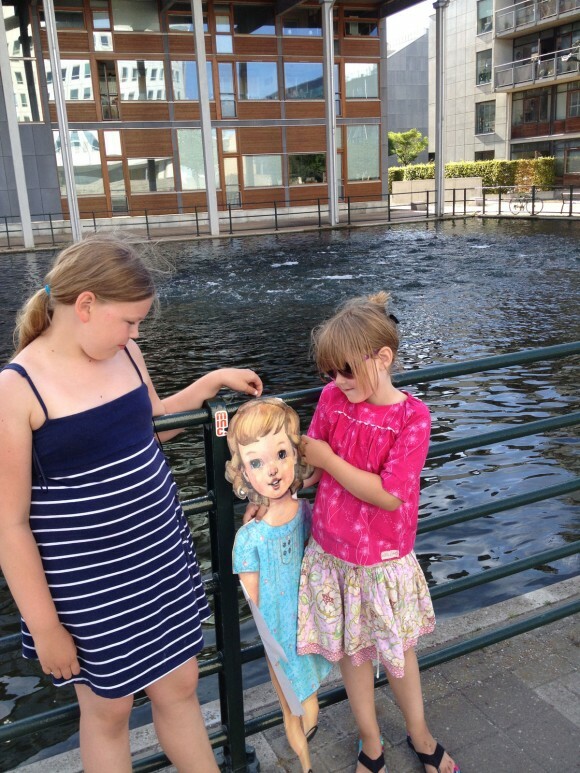 Here’s Lotta’s report on what Flat S saw on her visit to Sweden. 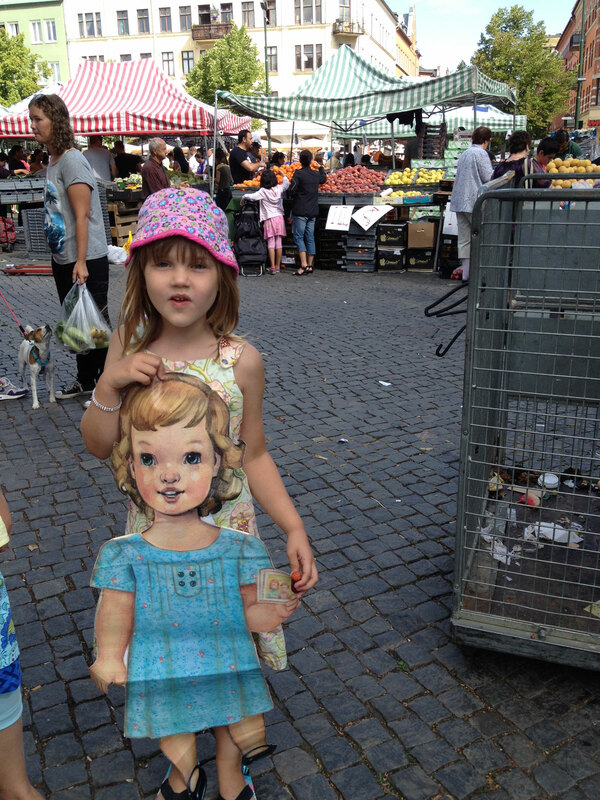 Flat S arrived in Malmö, Sweden on a Monday afternoon. She was so eager to see the sights but had to wait a day before my girls and I could take her on a little trip. We chose to show her our favorite playground and neighborhood in town: Western Harbour. It’s a fairly new neighborhood and Flat S really enjoyed the mix of downtown and outdoors there. 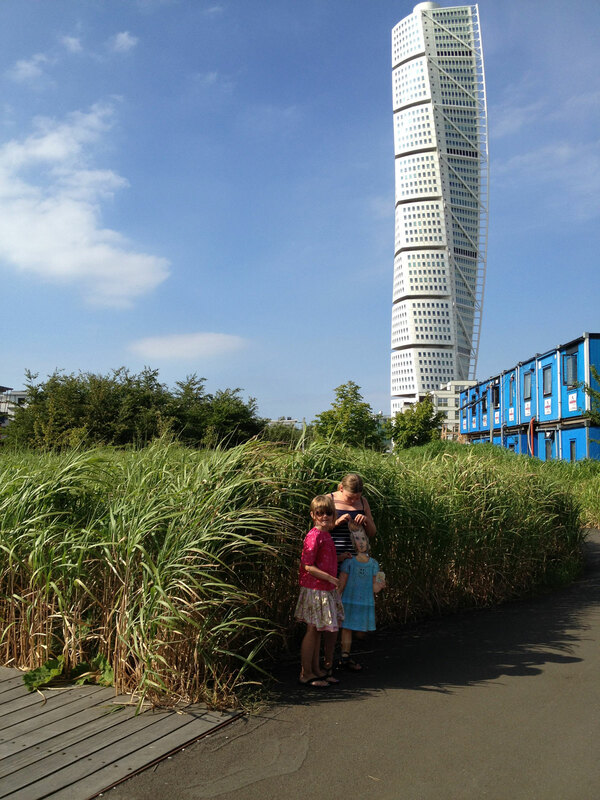 She asked to go up and see the view from the highest building in Malmö, Turning Torso, but it is closed to the public so she had to settle with marveling at it from ground level. 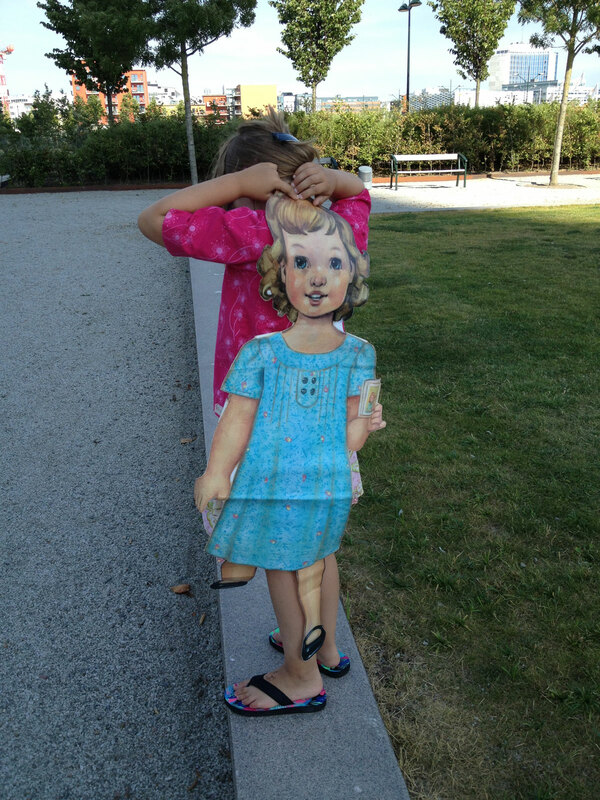 We took a slight de-tour on our way to the playground but Flat S found the path for us through the shrub. 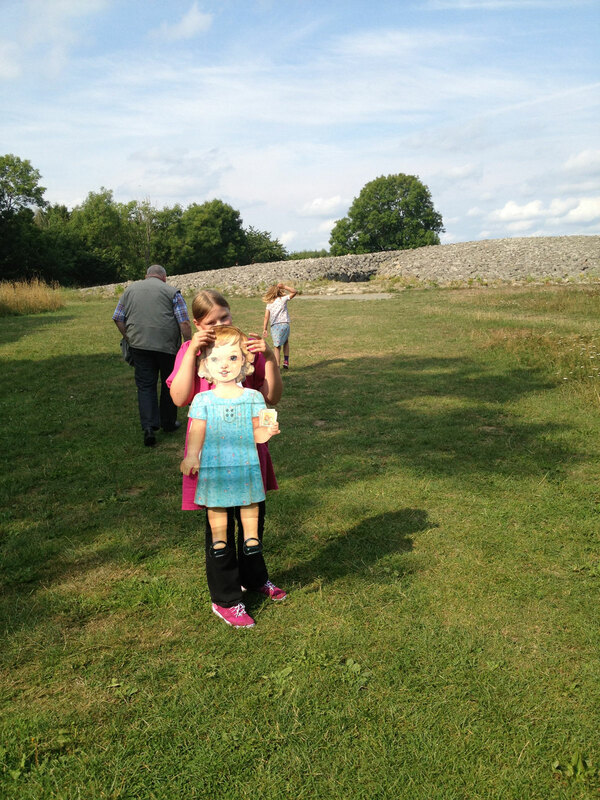 She got a little tired from the walk and the heat so my S let her piggy-back the final part of the way. 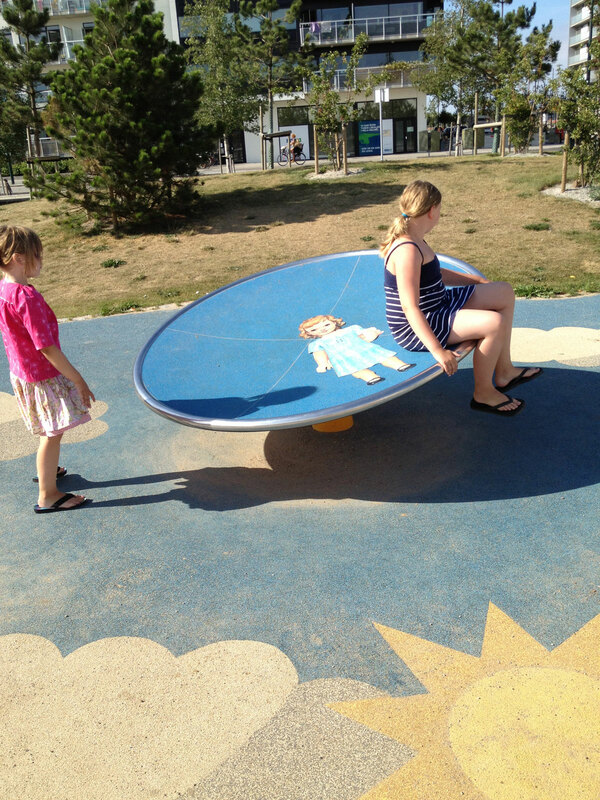 My girls couldn’t wait to get to the Solar playground and show Flat S everything. Sofia tried to get Flat S to join her on the rope bridge but I think S was a little intimidated, although after having seen her surf in Virginia I would think nothing would scare her. 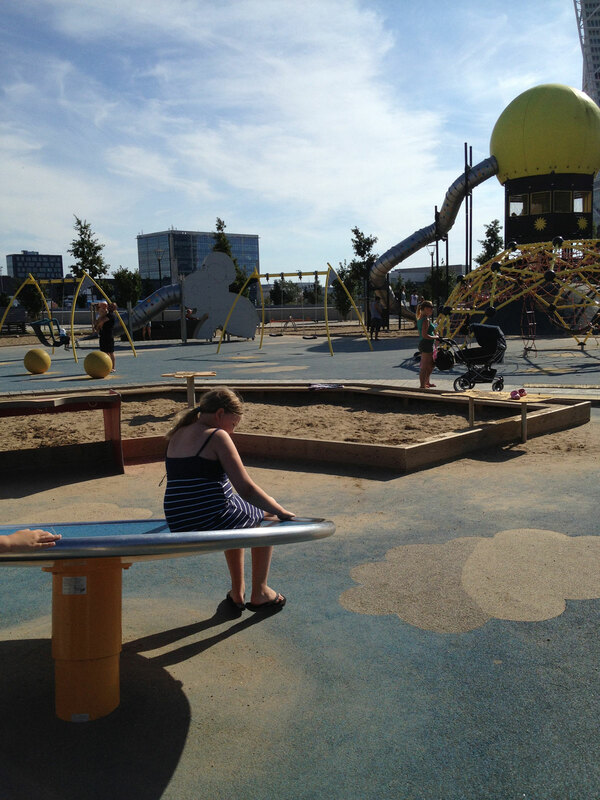 The playground is one of the largest in town and we love it because it caters to all ages. This spinning wheel is Isabel’s favorite and Flat S was eager to try it. They spun around and around on that thing and got off all wibbley-wobbly. Everyone was getting a bit hungry by now so we called it a day and drove back home for dinner and a movie. 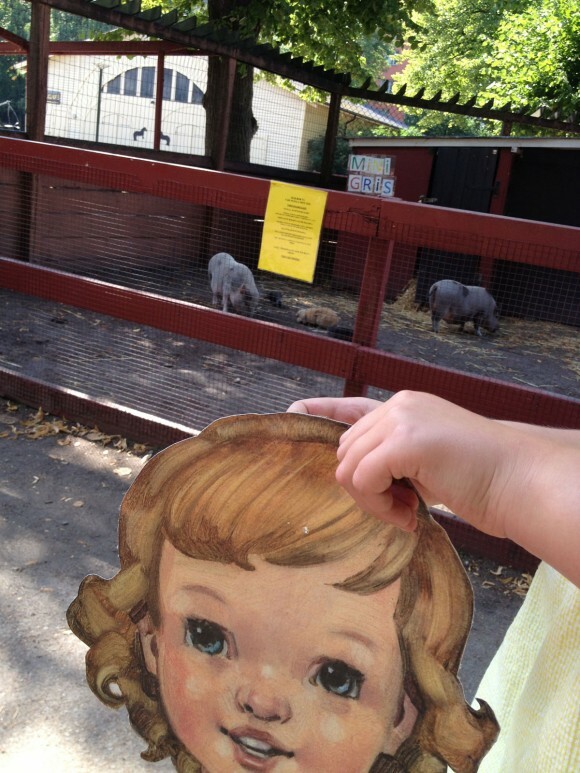 For our next outing, we went to a public park in another part of town to visit a mini-zoo. We were hoping to show some sheep to S but they had been moved elsewhere and instead the pen held two miniature pigs and loads of bunny rabbits. S was thrilled. There were birds and guinea pigs as well. This park has a playground too and we are much more familiar with it since we used to live right next to it. 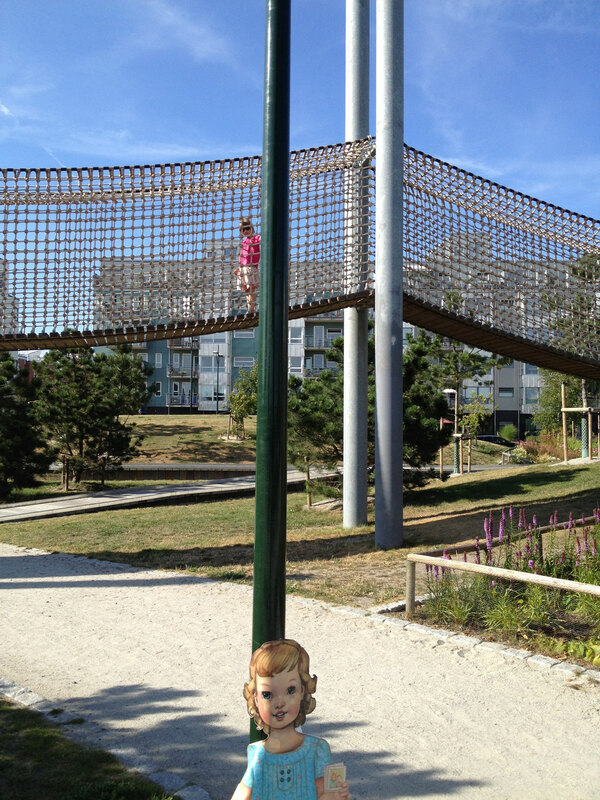 The three girls played hide-and-seek on the pirate ship and climbed the nets and hug from the monkey bars here for ages. After everyone was all played out we took a quick detour back to our car via the town market to get fresh fruit, bread, cured sausage and cheese for our lunch. Flat S and the girls were all given fruit to sample at each stall and they enjoyed both Spanish apricots and Greek water melon. We wanted to show S some of the nearby countryside as well, and with my father as a gracious driver we took a road trip to the very most Southern part of Sweden, Österlen. In a small fishing village in an area where the orchards fill the gentle hills, we drove in search of the King’s Grave. 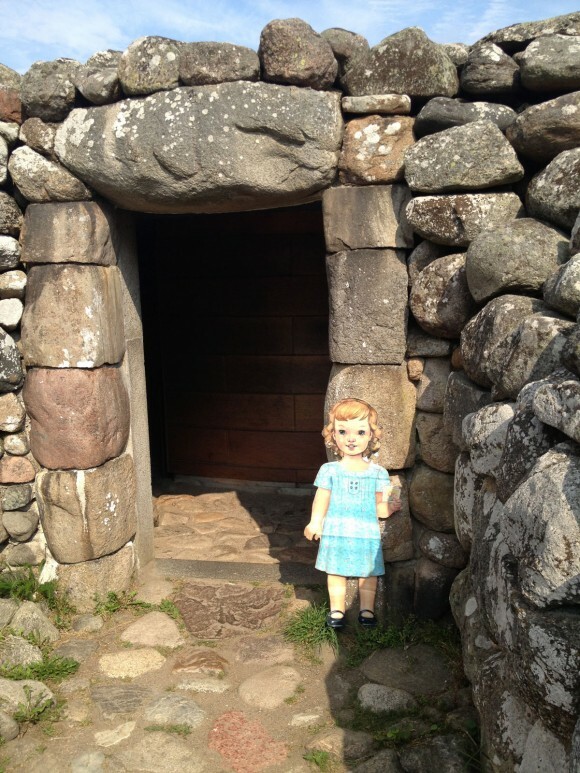 The grave is more than 3500 years old and I’m sure S felt a little nervous when she was about to enter it. She wanted to make sure to get a picture outside of it. As well as one inside of it. I think S held on tight to Sofia when they walked the short passage inside and saw the stone carvings, or petroglyphs. Outside the grave there is a little brook that used to power a mill. Today the mill has been converted to a café and the girls sat down and shared a homemade Swedish Kanelbulle, or cinnamon roll to boost their energy for the long ride home. We have all been so happy to host S and would have loved it if she could have stayed longer, but she very politely waved goodbye and set off for another leg of her long journey. 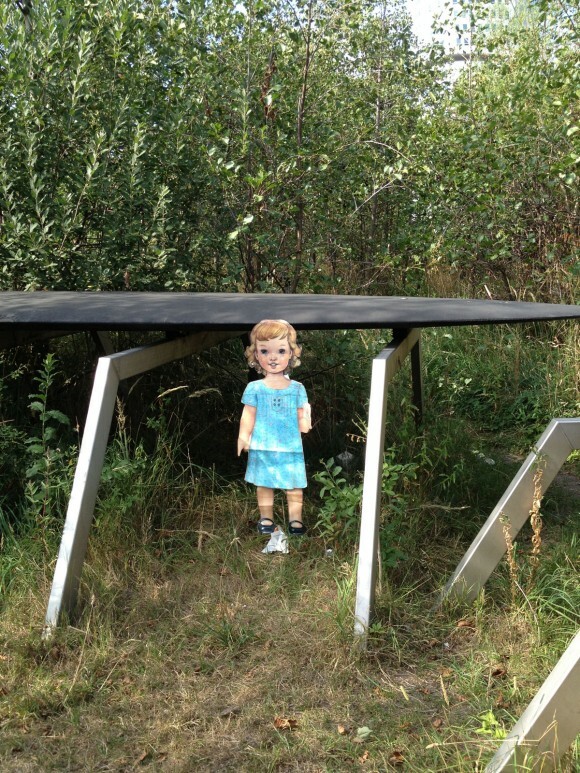 She will be going half way around the world for her next stop. 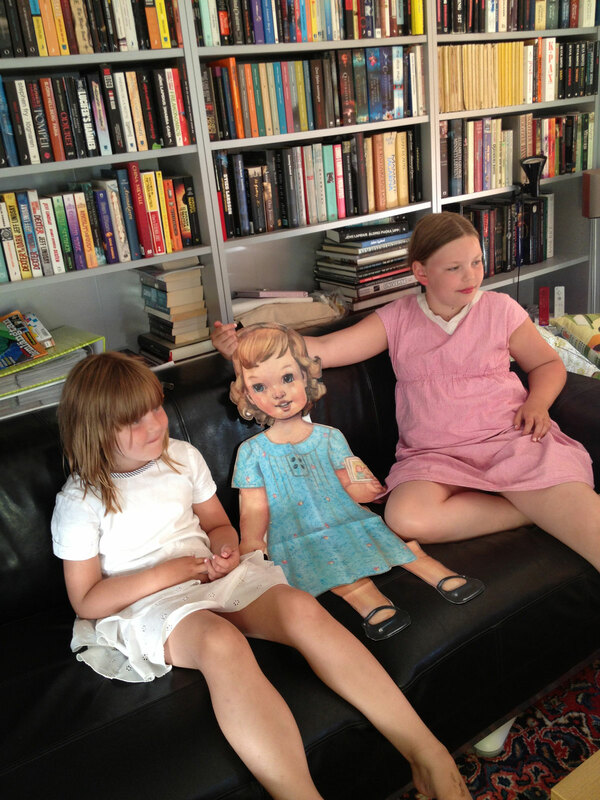 Thanks, Lotta and family, for hosting Flat S. We can’t wait to see where she’s headed next. Thanks so much for sharing this and what a wonderful father to help us enjoy Sweden. I have to say I enjoy Flat S’s trips so very much. She is seeing the countries in the way I would were I able to to travel along with her, namely, seeing the things that us family oriented average folks find to be the best parts of each area where they live. From the market to the playgrounds to the Kings Grave, what wonderful sights to enjoy from my chair in upstate New York. Thanks again. Looks like Flat S had a lot of fun! The King’s Grave looks like an interesting place to visit. 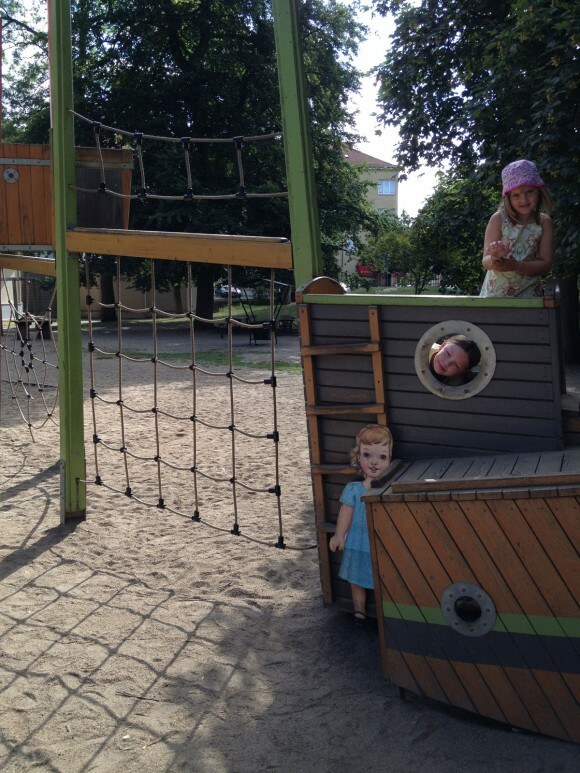 And I love the picture of the 3 girls:) playing on the pirate ship! I’m so enjoying living through flat S’s trips! 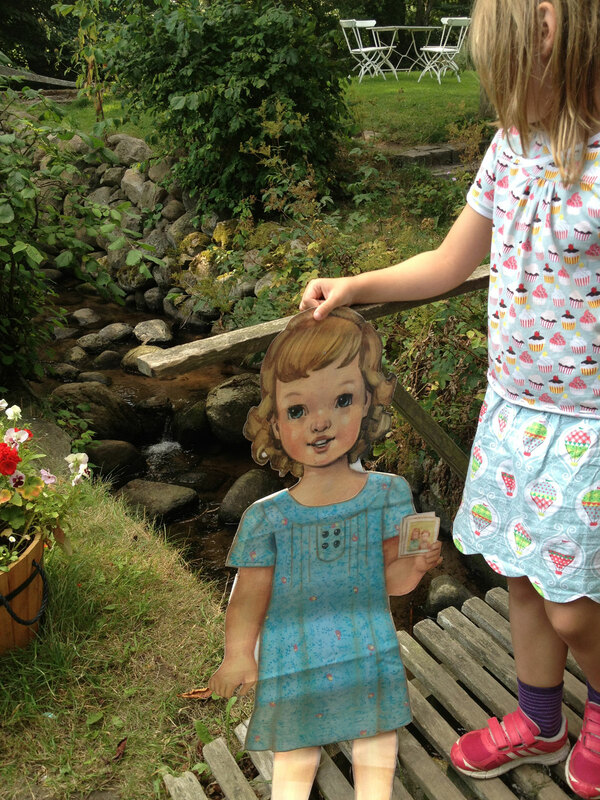 I spy lots of O+S sewing.